They’re both thoroughbred sports cars, but the demands on them are very different. 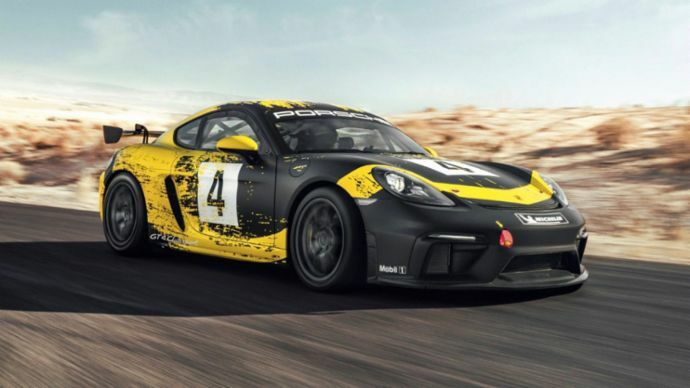 Here, the Porsche 718 Cayman GT4 Clubsport with its rumbling six-cylinder engine—a spartan single-seater, created for chasing times in racing. There, the T-versions of the 718 Boxster and Cayman—two-seater, four-cylinder purists, whose driving dynamics unfold primarily on winding terrain. 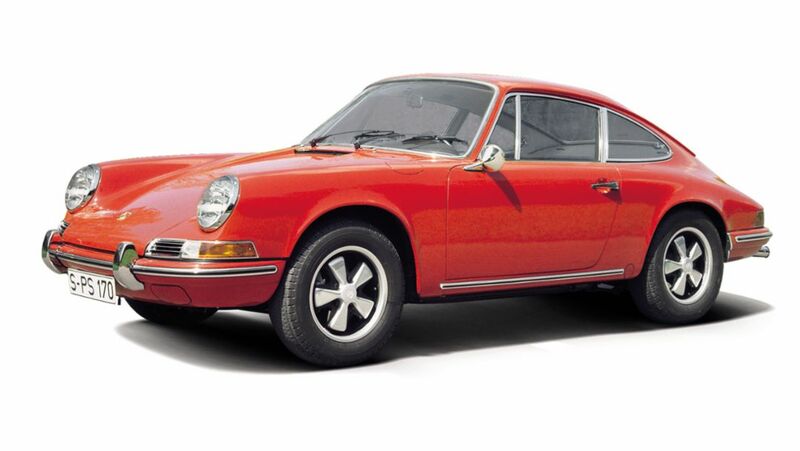 A comparative test-drive on a closed track shows that the Porsche mid-engine legend lives on. Twenty-inch rims in titanium gray, agate-gray mirror shells, and decorative stripes characterize the 718 Cayman T and Boxster T.
Loops instead of handles, contrasts in red—the Sport Chrono package and sports seats are all included. 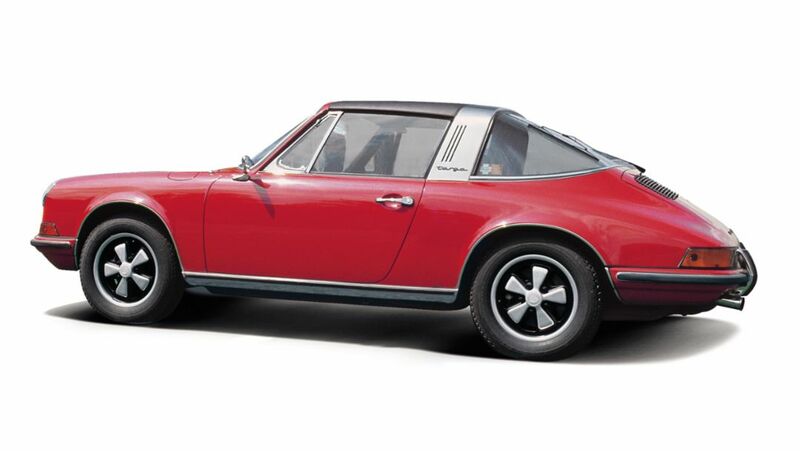 The T stands for touring—since model year 1968, this letter code has indicated a Porsche 911 pared down to the essentials. 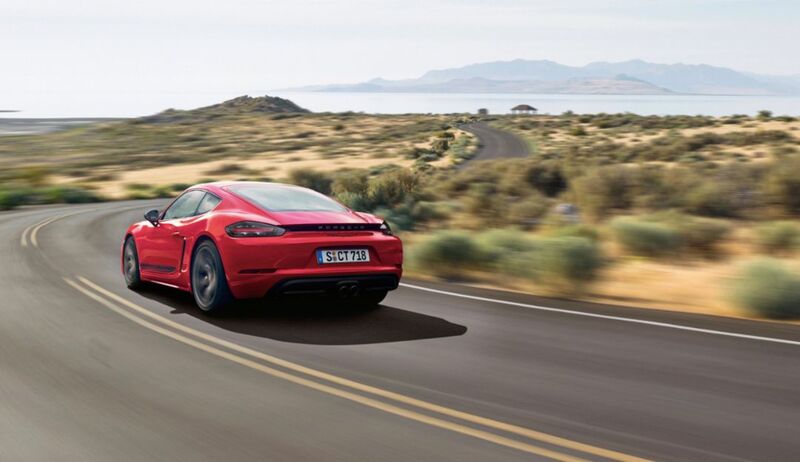 Now the high art of mixing sporty attributes with the basic engine is also becoming popular in the 718 model series: as touring versions, both the Boxster and the Cayman offer Porsche Active Suspension Management (PASM) with a body twenty millimeters lower, as well as Porsche Torque Vectoring (PTV). Highlights inside include sports seats, a shortened gearshift, and the Sport Chrono package. 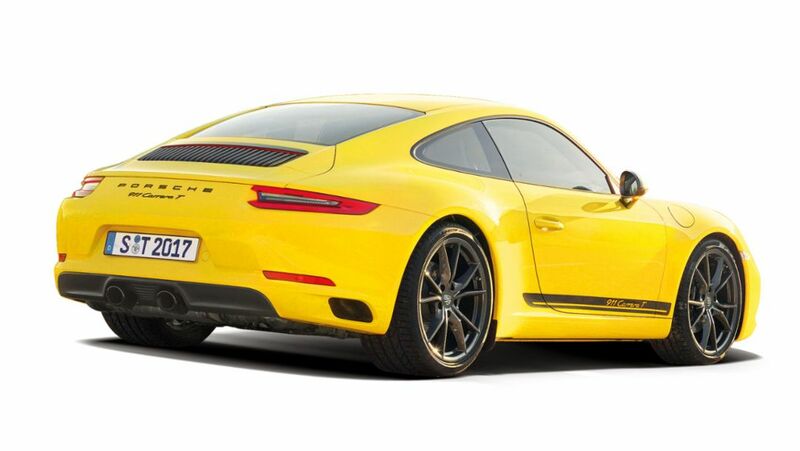 The 220 kW (300 hp), four-cylinder turbo boxer engine can be combined with the six-speed manual gearbox or the optional Porsche double-clutch gearbox (PDK). Instead of inside door handles, there are loops—every gram counts. The result is acceleration from 0 to 100 kmh in 5.1 seconds—with PDK, 4.7. The maximum speed is 275 kmh. The 718 T’s lower seating position is immediately noticeable on the track. The PASM sport chassis with transverse lock in conjunction with the twenty-inch wheels—exclusive to the 718 T in titanium gray—noticeably improves handling. Sports seats provide optimal comfort. And what is described as a “basic engine” on paper turns out to be either an effortlessly well-mannered or masterfully uncompromising drive package with the attitude of a high-performance athlete on the open country road, depending on one’s preference. As a GT4 Clubsport, the 718 Cayman now generates 313 kW (425 hp) from 3.8 liters of displacement. The doors and rear wings are made of renewable raw materials. On the racetrack, completely different virtues are the order of the day. At 313 kW (425 hp), the 3.8-liter, six-cylinder boxer engine of the 718 Cayman GT4 Clubsport delivers 40 hp more than its predecessor. Two versions are available: Trackday for beginners and Competition, with many race-relevant details, for ambitious drivers. A safety cage, racing bucket seat, and six-point harness are standard. Good for the ecological balance sheet: doors and rear wings are made of organic fiber composite based on flax and hemp instead of carbon. 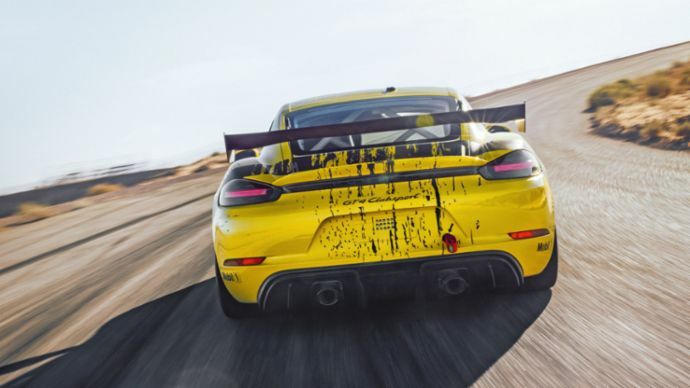 In comparison with its predecessor, the 718 Cayman GT4 Clubsport offers even more torque for an extremely sporty start out of the curve and a firmer grip, despite unchanged tire dimensions—the result of improved suspension and more downforce. The car steers with greater agility; the brakes are responsive and react even more powerfully to any pressure. 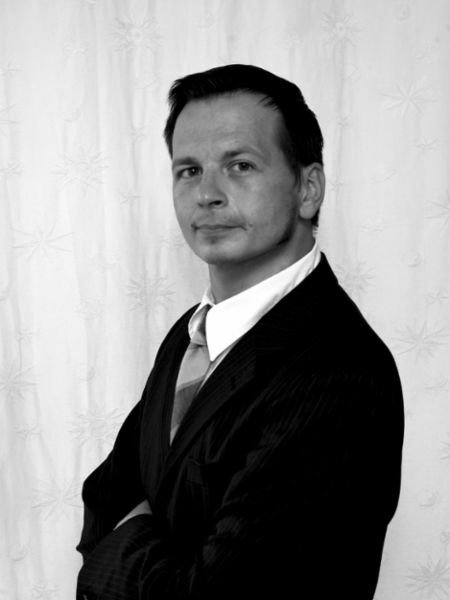 Control systems that can be switched off gradually ensure that less experienced drivers are not overtaxed. End of the first test-drive. The two photogenic models return and come to a stop at the edge of the track. Then the ten cylinders are silenced, and in the future they’ll be traveling separately—four for the road, six for the racetrack. Both carrying Porsche’s message out into the world. 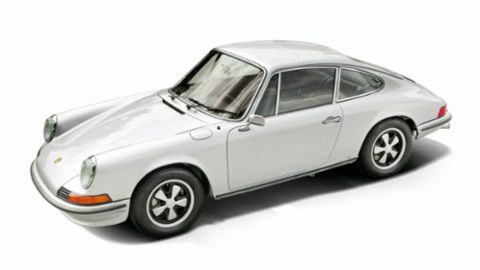 No rear seats, less insulation, and in 2017, even lightweight glass: the 911 has always relied on purism in detail for touring.